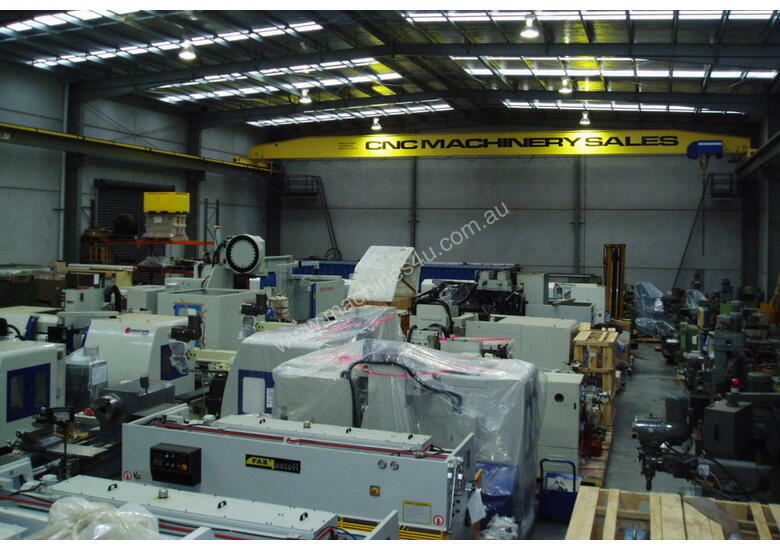 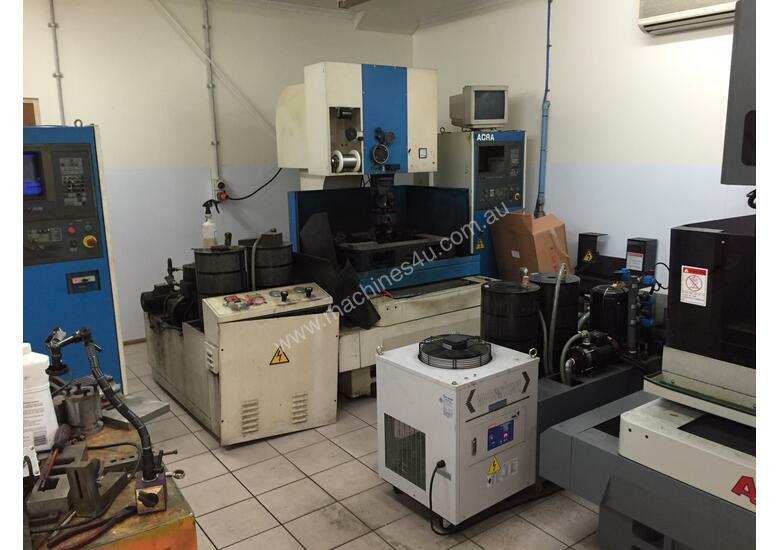 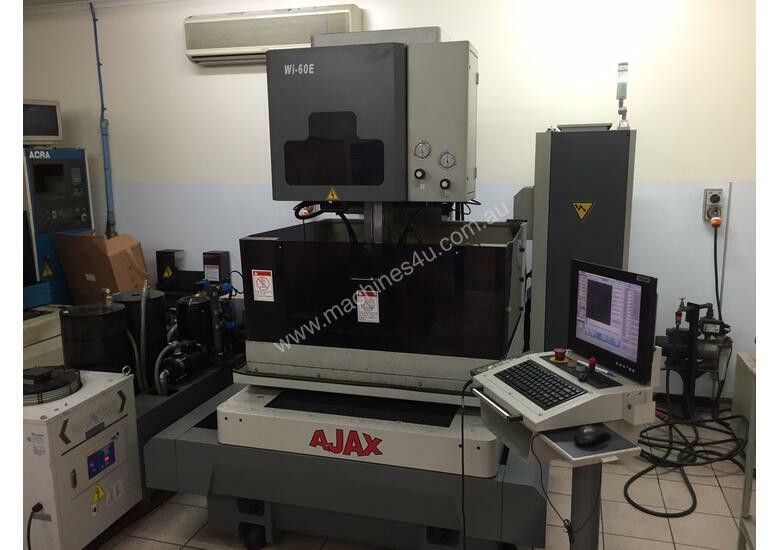 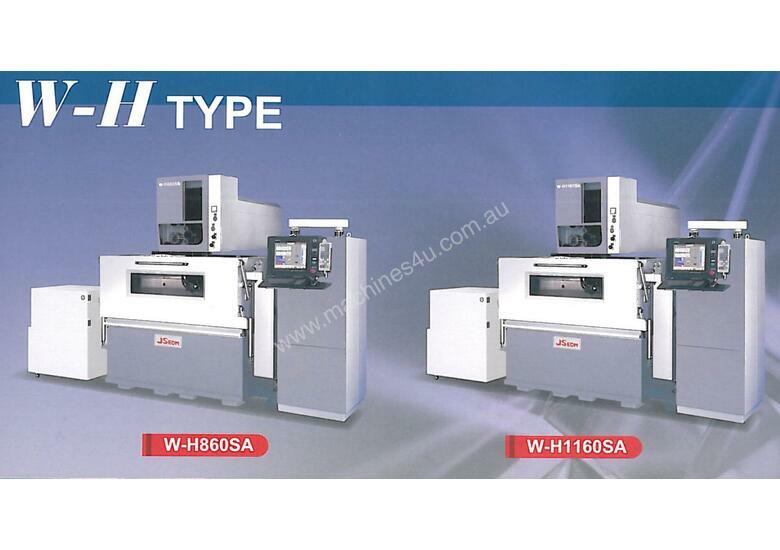 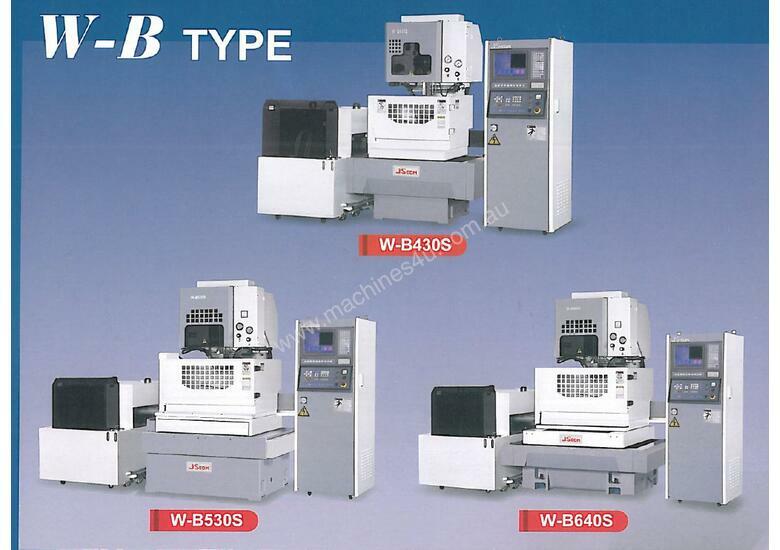 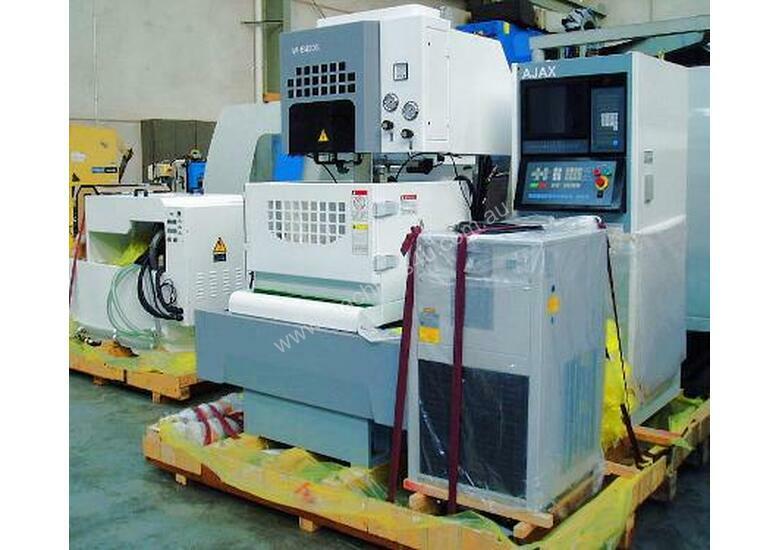 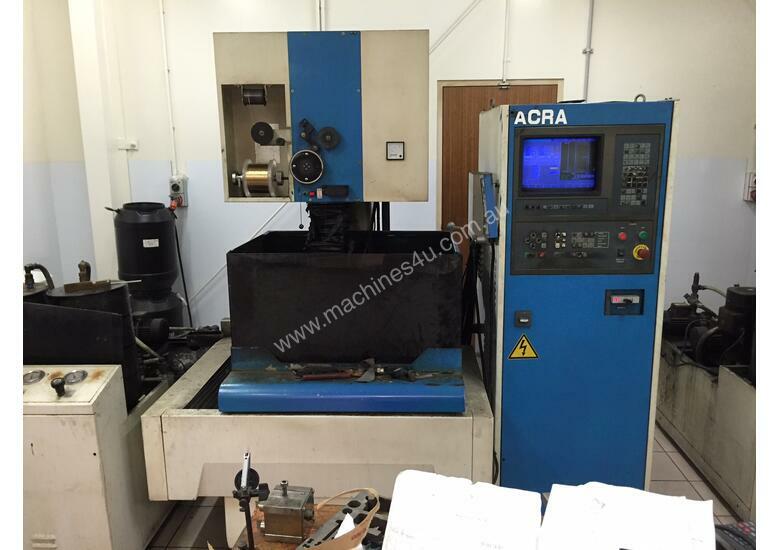 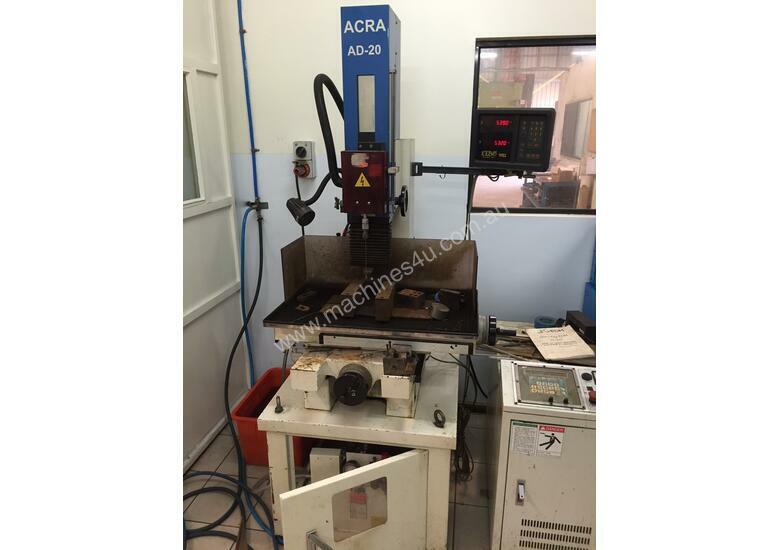 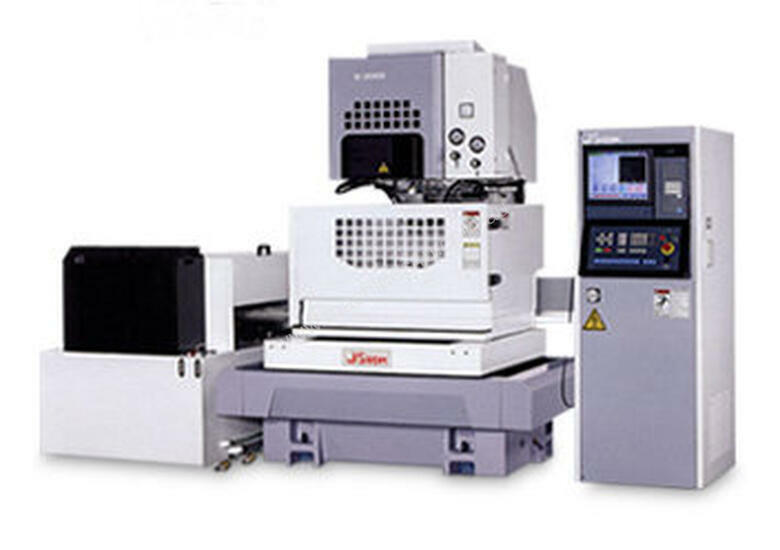 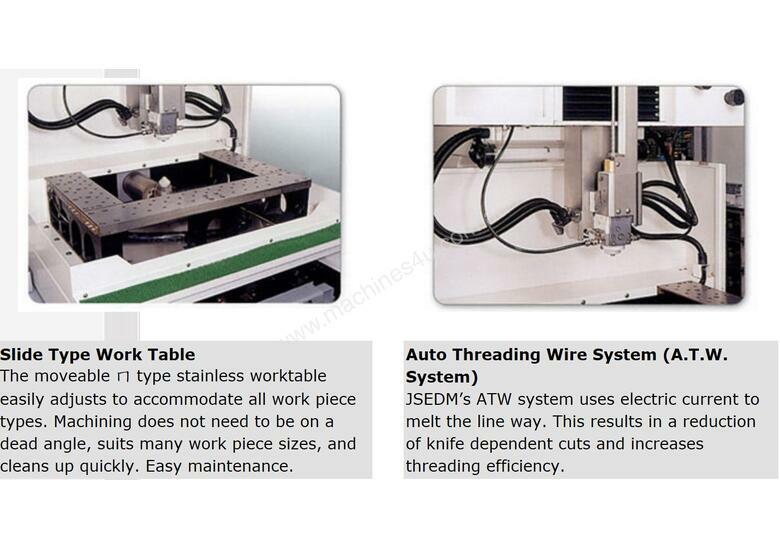 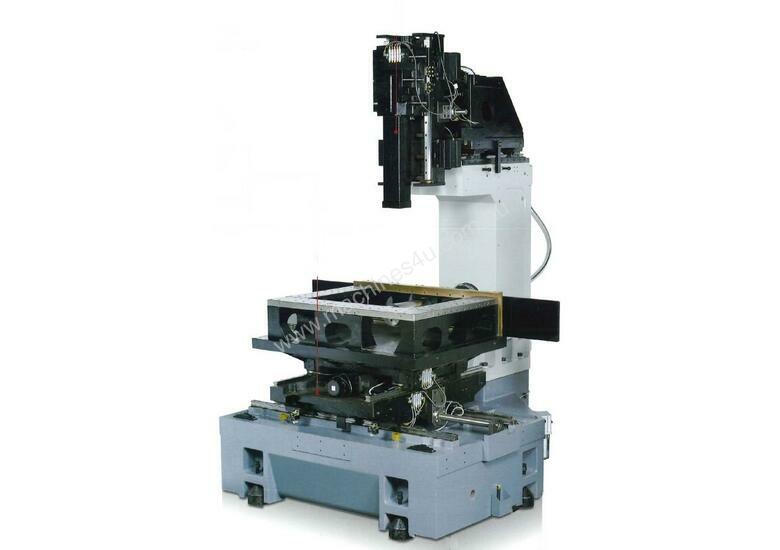 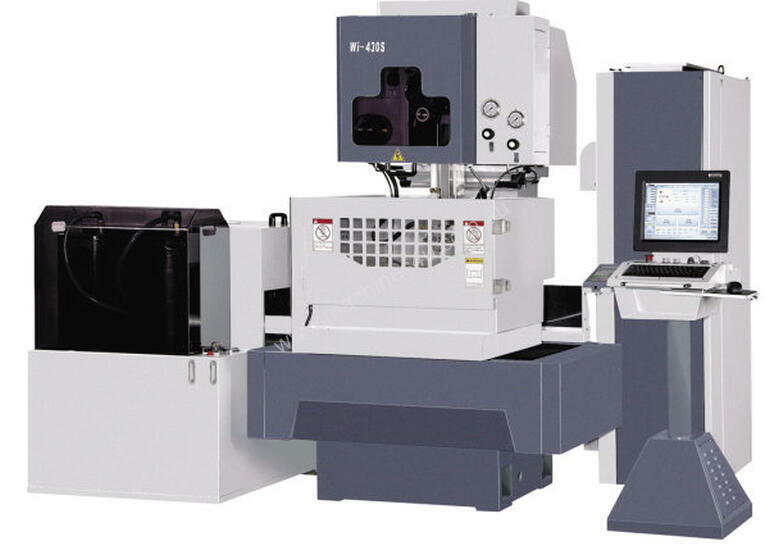 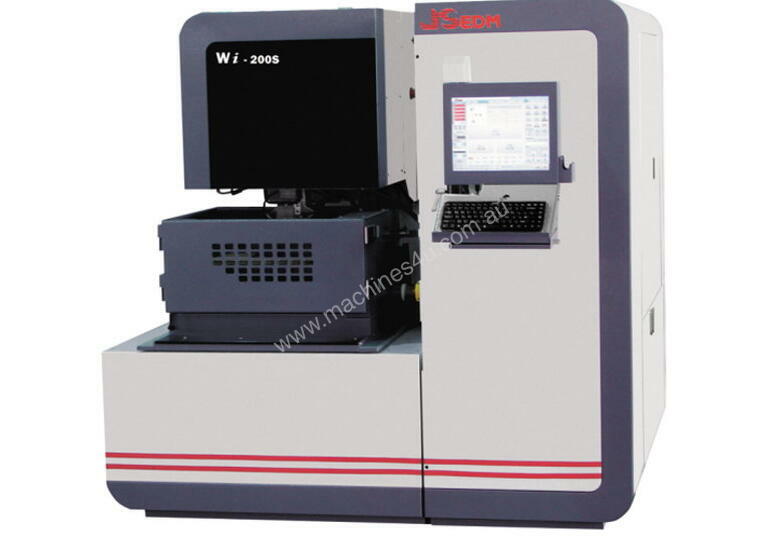 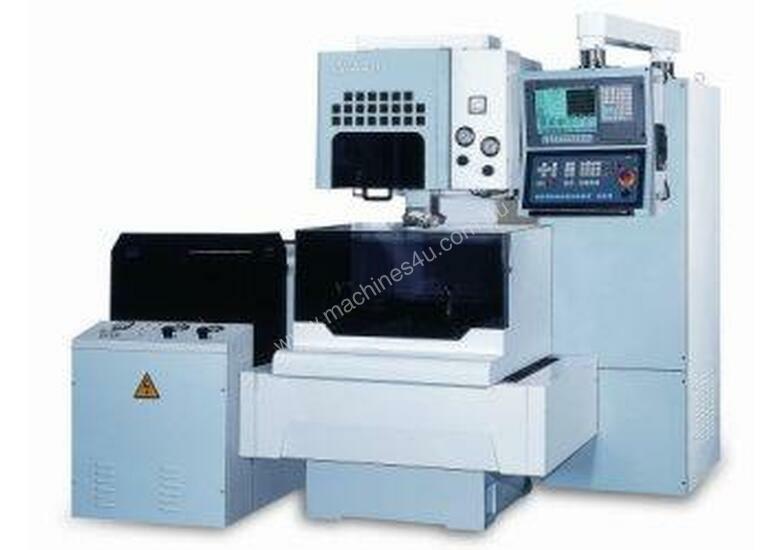 Ajax JS Robostar EDM wire cut machines offer a broad range of capacities and user friendly features. 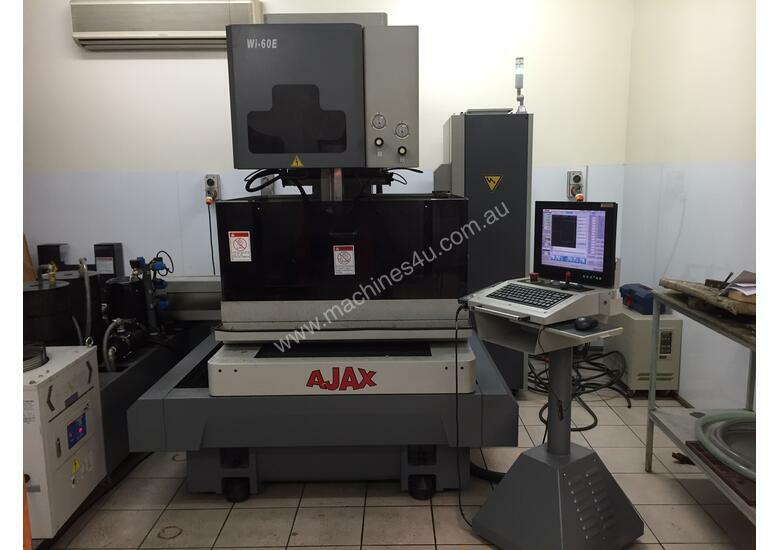 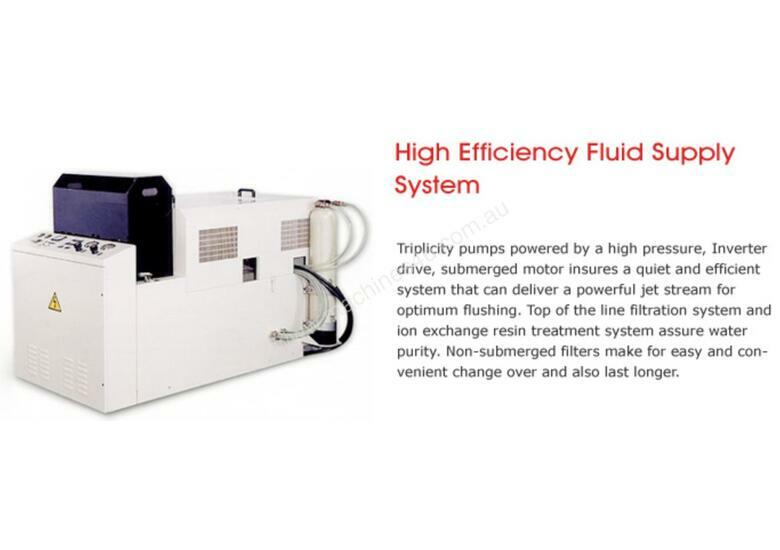 Configured for either flushing or submersable cuting operations the Ajax offers a cost effective solution to the wire cutting needs of the tool making industry. 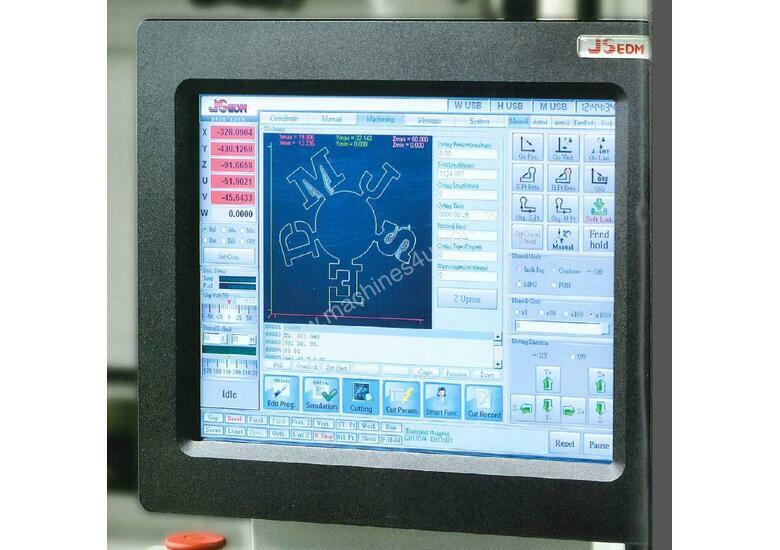 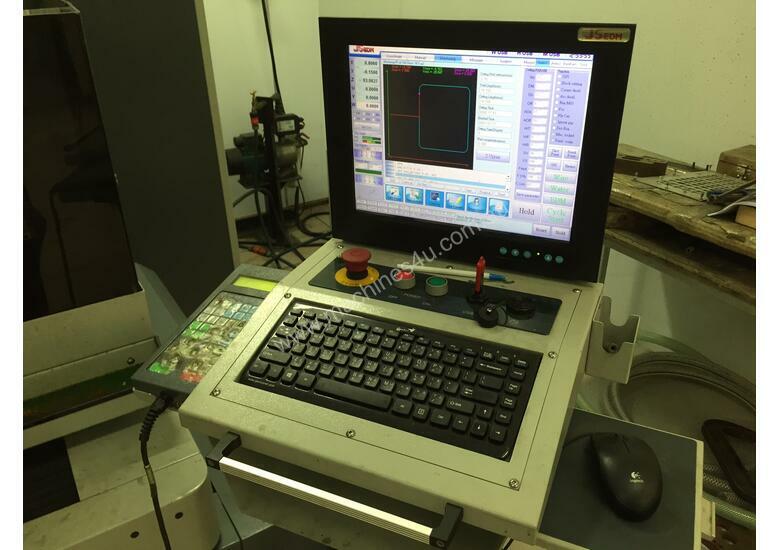 PC based design - Industrial CNC control PCB allows for programming while machining. 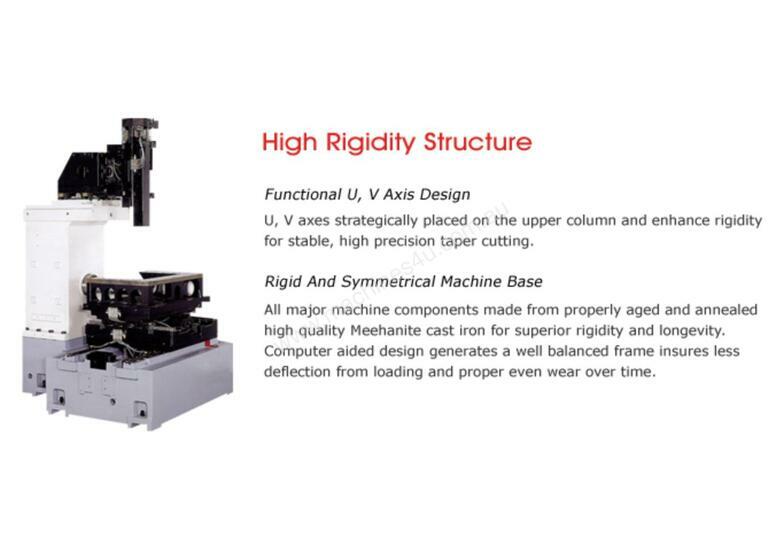 Standard canned cycles are intuitive yet powerful, makes programming a breeze. 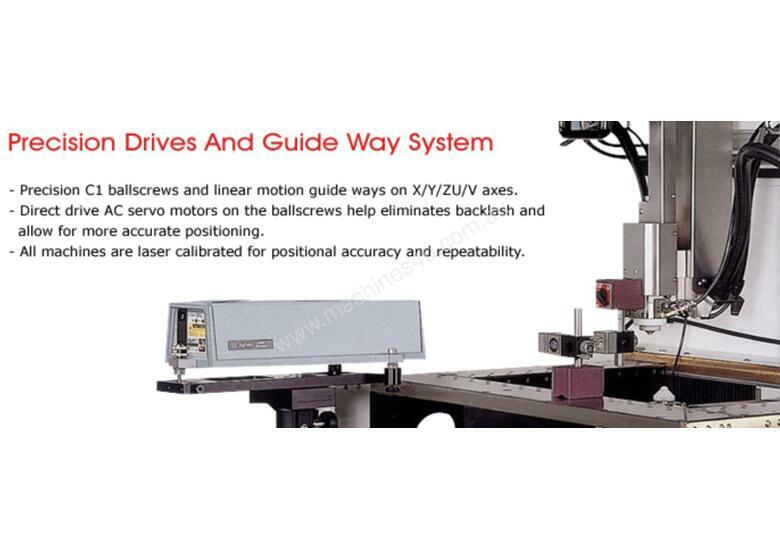 Start point return, reference point return, trace function, and Retrace function allows for quick, easy setups and resetting after a wire break.